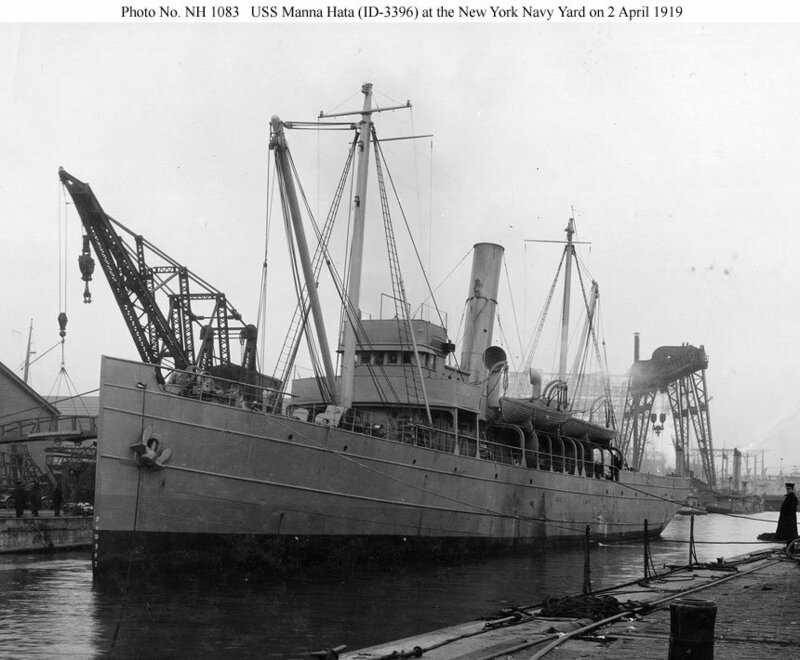 Dictionary of American Naval Fighting Ships: Manna Hata, a steam freighter built in 1900 by Harlan & Hollingsworth, Wilmington, Del., and operated along the Atlantic coast between Baltimore and New York, was commandeered by the Navy from the New York & Baltimore Transportation Co., 7 September 1918; converted to a salvage ship and commissioned 22 March 1919, Lt. Harry Huxford in command. Manna Hata was ordered to proceed to Brest, France, 2 April 1919. 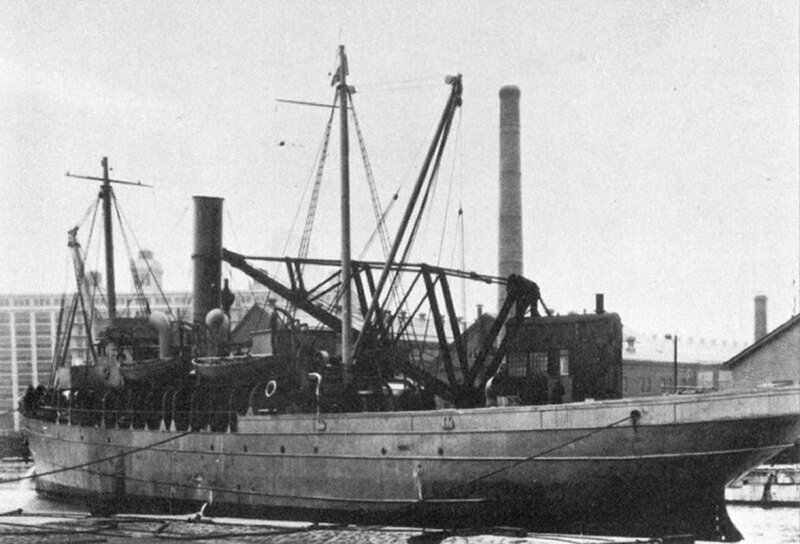 She joined the First Salvage Division in supporting U.S. Naval Forces operating in European waters and tended the many ships used by occupation forces and other American military activities in Europe. In August she joined the force clearing the North Sea of the vast minefields laid during the war in an operation almost as intricate and dangerous as the original laying had been. Manna Hata ferried sweeping equipment and supplies from Brest and Liverpool to Kirkwall, Orkney Islands, where the minesweeping operations were based. Manna Hata decommissioned at Brest 25 October 1919 and was sold at auction in London 3 November to Maritime Salvos, Ltd., of London. She subsequently served commercially as Relient.